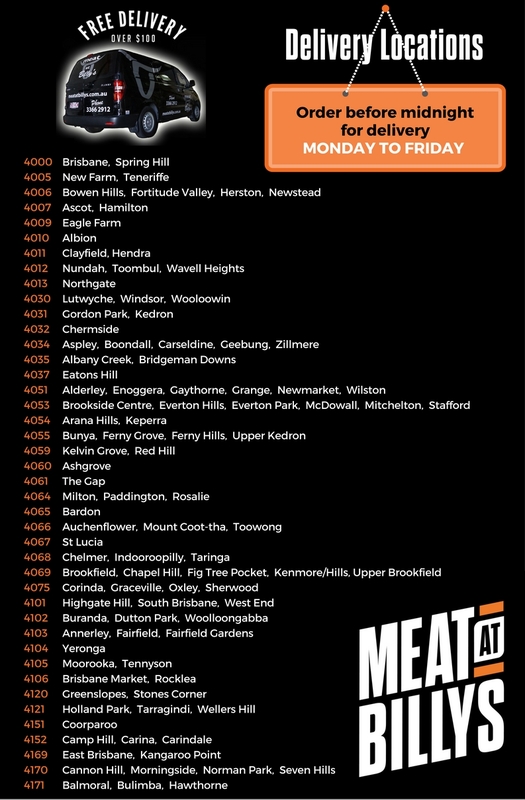 Get your home delivery Monday to Friday, to the above delivery locations (excluding Public Holidays). Order online from our amazing range of quality meat – wagyu, dry aged & grass fed beef, free range pecan fed pork, pastured lamb & ready to cook products. There are also a great variety of grocery products – eggs, milk, sauces, cheese, pasta and more. Place your order before midnight for delivery the very next weekday. Deliveries can be made to your home or office. (Read our FAQs for further details).